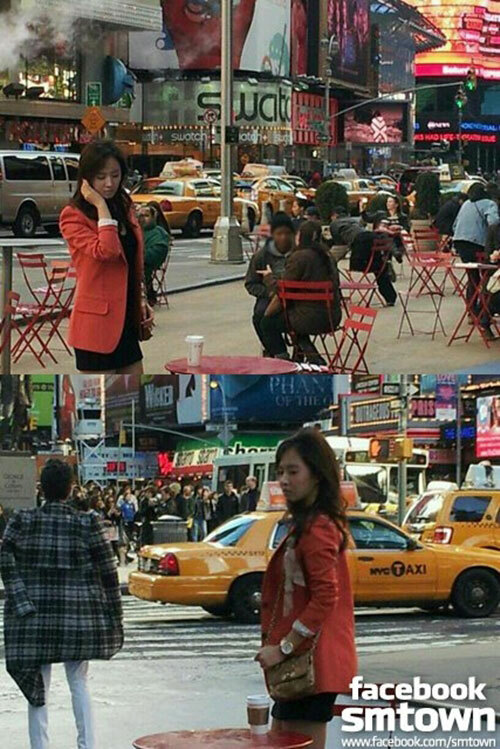 On the afternoon of March 20th, 2012, the official Facebook page of management agency of Girls’ Generation, SM Entertainment, published the stills of SNSD member Yuri on the set of SBS new Monday and Tuesday drama series Fashion King. In the photos, Yuri was wearing a black minidress, with a simple red jacket, showing the free and easy fashion style. In particular, the filming was done with her standing at a busy and crowded street with full of neon lights, further attracting attention. In the Fashion King drama series that debuted on March 19th, 2012, Yuri plays the role of Choi Anna who looks perfect, but full of scars inside the heart. She will start appearing in the TV series from episode 2.